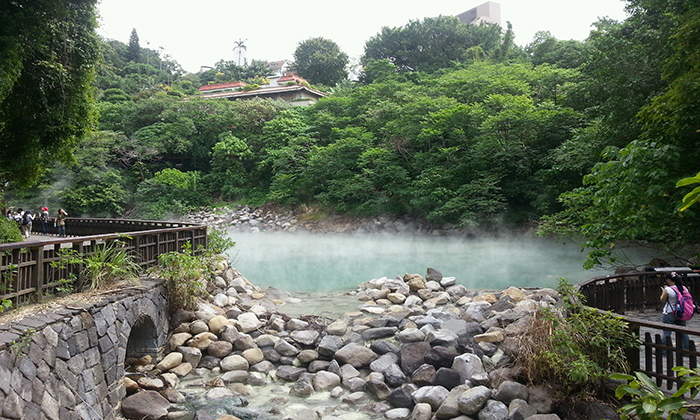 The abundance of hot springs is one of Taiwan’s features. People can benefit greatly from them, especially relaxing their muscle and enjoying the warm and comfortable hot spring. Beitou is a place features hot spring. Nature lovers will find it interesting to see where hot springs come from and the hot spring history. It is definitely an ideal place to start exploring the rich variety of Hot Springs, Taiwan. So come visit Beitou, Taipei and experience one of the greatest pleasures nature has to offer! Once you arrive at Fisherman’s Wharf, you will see “Lovers' Bridge” from far away. At one end of the bridge, a curved giant pointed arch thrusts from the water towards the sky. In the fish market, you can pick any freshly caught seafood which the owner will cook for you. 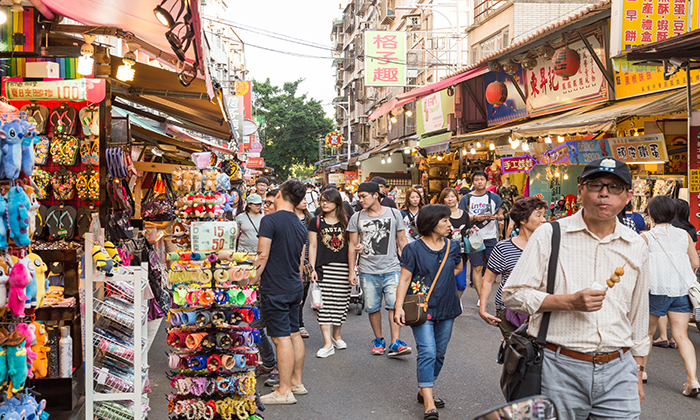 The shopping street and art street are filled with all sorts of creative souvenirs. The boardwalk and riverside cafes are the best spots for couples. And as the sun sets, the beautiful gradation of colors in the sky puts a final touch to an unforgettable time in Tamsui. Learn the hot springs and cultures of Beitou. The Thermal Valley was once considered to be one of Taiwan's eight great natural wonders. The green sulfur waters are distinctive and peculiar. The smoke and mist rising up out of the catch basin and curling up the mountains, and the translucent green waters. 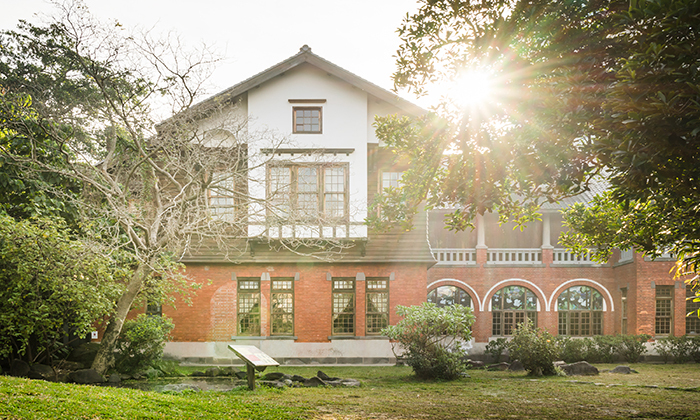 The Beitou Hot Springs Museum is a Victorian-style building which’s built with red bricks and wooden weatherboards. Originally called the Beitou Public Baths, this was built in 1913, at that time East Asia’s largest hot-spring public bath. Today it is the key showcase for hot springs-related historical relics in Beitou. Roman-style arches and columns in the first floor common bath merge perfectly with Japanese-style interior and tatami on the second floor. Taipei Public Library Beitou Branch- Taiwan’s first green architecture project to attain the highest local certification standard for ecology, energy saving, waste reduction and health. 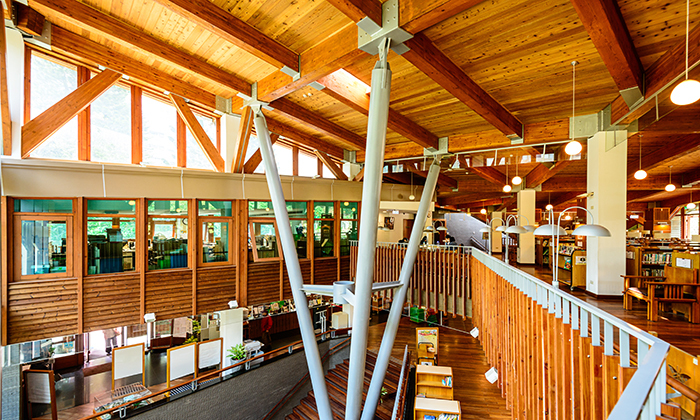 It utilizes solar power, the rooftop is a cooling green oasis, and all rainwater is collected and recycled. Readers are calmed with pleasant mountain vistas through sun-inviting tall French windows. Time spent in the tree-shaded outdoor reading areas is more like time spent in a dreamscape rather than your normal library experience. 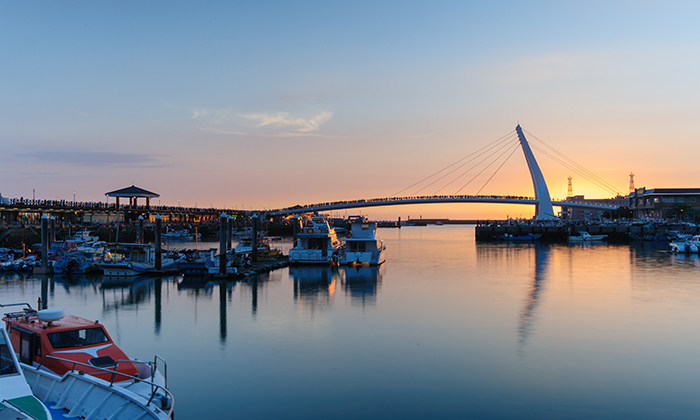 Visit Tamsui, which has a reputation as Oriental Venice. The bridge is a landmark of the Tamsui Fisherman’s Wharf, is well known for its beautiful sunsets, seafood, and, more recently with young people, its high amount of party boats. This bridge, river boardwalk, and complex of restaurants, a fancy resort and snack stalls is only worth it for the bike ride (20 minutes) along the river or the ferry ride from Tamsui. The view of the sunset is also quite pleasant here. Transportation According to the group size, we will choose proper transportation. Cancellation Policy A minimum of 2 passengers is required for this tour to operate. There is a possibility of cancellation after confirmation if there are not enough passengers to meet requirements. In the event of this occurring, you will be offered an alternative or full refund. Cancellation made less than 24 hours before departure is non-refundable. Cancellation made between 48~24 hours before departure will charge 50% of full payment. Cancellation made more than 72 hours before departure will offer a full refund.